Knowing when to water your plants is a guessing game, but Flower Power could change that. Viewpoints loves products that are invented with the homeowner in mind. So we’re excited to share word of Flower Power, an innovation to help you know when your plants and flowers need your tender loving care. The French electronics firm, Parrot, is known for making iPhone-controlled helicopters and wireless car headsets. Now it’s getting into gardening. It developed a device that you stick into the pot of your plant and monitor wirelessly with a dedicated app that watches the condition of the soil. 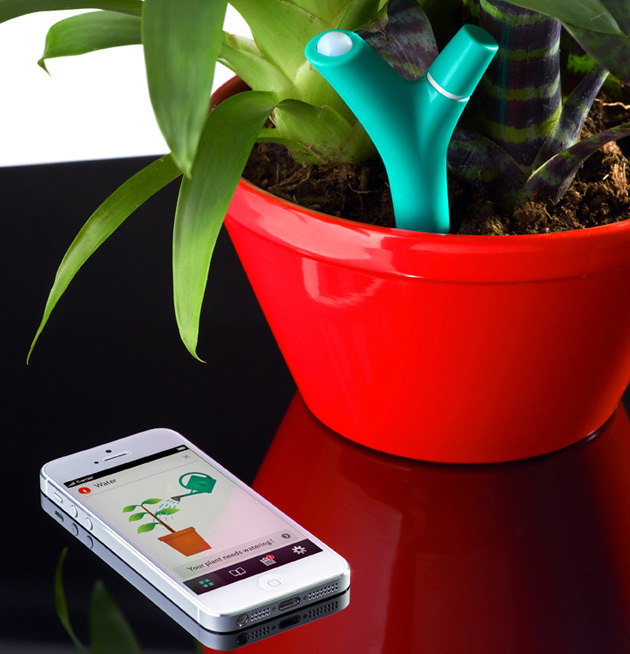 The app taps into a database of plants of its type, so it can give you custom instructions for keeping it alive. Besides moisture, the sensor is also supposed to keep track of sunlight, temperature and fertilizer. It runs on AAA batteries. 6,000 plants are in the database, so chances are yours are covered. The product is not yet available (“coming in 2013″), so we also don’t know a price. But Viewpoints is watching, so subscribe to our blog and we’ll keep you posted. Editor’s note: If you have professional experience with gardening or plant care, Viewpoints is recruiting experts in priority product categories to write for our blog. Check out this overview of the Viewpoints Category Expert Program, including qualifications, compensation and how to apply. Reach out to Carol with story ideas or comments about Viewpoints at carol@viewpoints.com. You can also find her on Twitter @carolfowler, LinkedIn, Google+ and Built In Chicago.